NASA has confirmed that its InSight lander has landed on Mars after completing a procedure that’s fully automated as radio signals from Mars take just over eight minutes to reach the Earth in this period. InSight was launched on May 5, 2018. Unlike other landers and rovers, it will study the red planet’s interior to better understand its composition and its geological history. 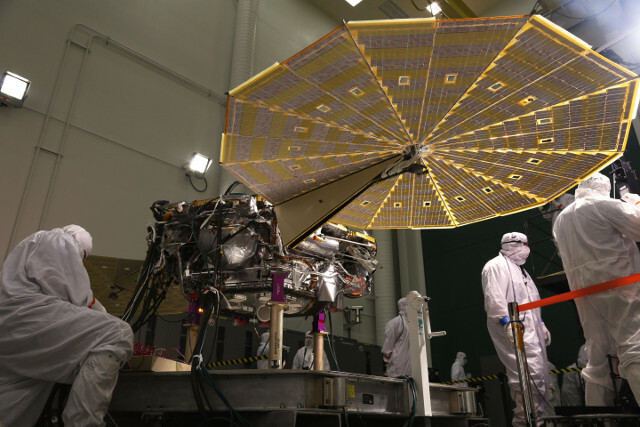 The landing on Mars of the InSight (Interior Exploration using Seismic Investigations, Geodesy and Heat Transport) lander took place following a complex procedure carried out in the course of what were called seven minutes of terror. It began after the spacecraft containing InSight separated from the cruise stage consisting of parts that were useful for the journey but have now become a burden. The descent into Mars atmosphere was programmed with a precise angle, with the heat shield protecting InSight. At about 9 kilometers of altitude the parachute was deployed, the heat shield separated and InSight deployed its three legs to prepare for landing while the slowdown’s last phase was accomplished after having also dropped the parachute using a system of retrorockets that fired at around a kilometer of altitude. Once landed, InSight began sending the first radio signals to communicate that it arrived at its destination and some radio telescopes on Earth could pick them up. Other signals will be received by the various space probes orbiting Mars and Mars Odyssey should be the one that will act as a relay to the Earth. During its work, the Mars Reconnaisance Orbiter and MAVEN can also act as a relay. ESA collaborates with NASA on the mission using its TGO (Trace Gas Orbiter) as an additional relay. Two CubeSat-class nanosatellites called MarCOs followed InSight on its journey to Mars. They continued on their route but could contribute to providing information on the lander during its mission’s initial phase. Their presence is an experiment to verify the possibility of using nanosatellites in deep space missions so they’re not indispensable but could provide images of InSight after landing. 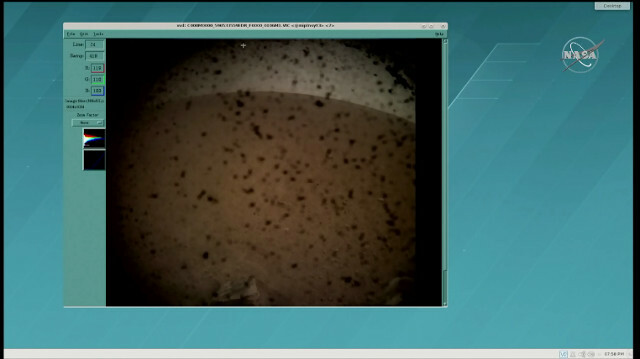 NASA receives communications coming directly or indirectly from the InSight lander through its Deep Space Network. Again ESA provides its collaboration with the stations of its own Estrack network that offer a redundancy that allows to pick up the signals coming from Mars in any part of the Earth. In critical moments of a mission of one of the two agencies, this kind of collaboration can make the difference. After deploying its solar panels, the InSight lander’s initial activity phase will consist of studying the area of ​​the Elysium Planitia region where it landed. Over the next few weeks, the various instruments will be tested and in some cases placed on the surface to make sure that they work properly and allow to study the planet Mars’ core, which is the main goal of this mission that has a duration of at least two years.